The law community is mourning the sudden death of hugely popular Masterton lawyer Louise Elder. The 50 year old died at home on Monday, after seemingly being fine following surgery for an aneurism last Thursday, reported the Wairarapa Times-Age. She was a mother to two young daughters and a step-daughter. Elder’s areas of practice included criminal law, family law, youth work, civil litigation and compliance prosecutions. She had recently taken on a new part-time teaching role at the Institute of Professional Legal Studies in Wellington. Fellow Wairarapa lawyer Victoria Anderson was close to Elder, and the pair shared Elder’s house as an office over a number of years. Anderson can’t speak highly enough of her friend. Speaking emotionally, Anderson says although Elder experienced trials and tribulations, she always rose to the challenge and triumphed. She was a real champion of the vulnerable. 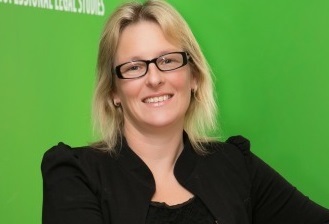 Nerissa Barber, the current president of the Wellington branch of the Law Society, also worked closely with Elder over the years. The two studied law at the same time at Victoria University, and went on to work together from 2009-2010 with the Law Society when Barber served on the Wellington Branch Council and Elder represented the Wairarapa region. “I remember Louise very well from that time. She was such a lovely person, full of energy with a wonderful can-do attitude. A truly fantastic person,” Barber told NZ Lawyer. Since the news of Elder’s death, she’s received multitudes of emails about the lawyer she describes as “a great dynamo”, demonstrating just how popular and respected Elder was in the community, and how many people she touched. “Her sudden passing came as a complete shock. She was just such an able representative, and always made fantastic contributions to our Wellington Branch Council meetings,” Barber says. by Andrew McIntyre 10/09/2014 11:38:17 a.m.
by Brent Weenink 10/09/2014 12:53:10 p.m. Yes, I echo Andrew's thoughts. A real loss and terribly sad.